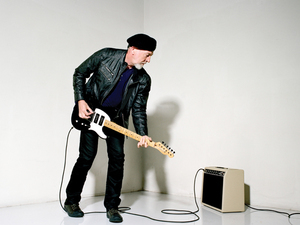 For a 66 year old iconic performer who has been professionally active for close to half a century, the album title STILL is an ironic timely reminder that there’s plenty of juice left in the string tank of Richard Thompson. Never a person to rest on his laurels, this much lauded artist has continued to push personal boundaries and for this latest project he has hooked up with pioneering alt-country musician Jeff Tweedy to deliver a record packed to the hilt with Richard Thompson traits. So expect an artisan at work stretching his finger picking muscles, a master lyricist outpouring his thoughts and a distinctive vocalist appealing to tuned-in ears. Perhaps in order of universal acclaim the first of these three traits probably exceeds the third and if you are relatively new to his talents, the guitar playing is advisably the first port of call. Having witnessed Richard play live a few times, it is impossible to feel anything but mightily impressed, whether the performance is acoustic or electric, or band or solo. The tour to support the release of the new album hits the UK towards the end of the summer via the festivals, before moving onto the nations’ grand halls and is billed as the trio format. 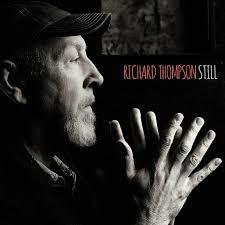 No doubt many long term fans will lap up the Richard Thompson classics but the tracks from the new album will stand up well to live scrutiny. Under the production guidance of the ex- Uncle Tupelo and Wilco frontman Tweedy, all twelve tracks purvey an air of high quality consistency with just enough diversity in style to eliminate the complacency of similarity. From a personal perspective the production numbers with a little more tempo surface as the key moments on the record, probably because they allow the guitar playing to be more prominent and showcase what Richard Thompson does best. Therefore ‘All Buttoned Up’, ‘Long John Silver’ and ‘Patty Don’t You Put Me Down’ hold more credence through the early listens than the more complex tunes like ‘Broken Doll’ and ‘Josephine’. However individual mood will dictate personal preference and omnipresent merit is in evidence to enhance the choice. A pan Atlantic appeal has long been attached to Richard Thompson. Lengthy stints living in the US, eventual lifetime recognition by the Americana Music Association and the fact that this album was recorded in Chicago reaffirm one half of this assertion. However Thompson will always remain a quintessential British folk rock legend and this firmly underpins all acclaim. There is a chance that die hard folk fans will latch onto ‘Pony in the Stable’ and the engaging album opener ‘She Never Could Resist a Winding Road’. On the other hand, ‘Dungeons for Eyes’ has the potential to raise eyebrows of those seeking a touch of Americana. Lyrically, the album peaks in the second track, with the enigmatic ‘Beatnik Walking’ referencing Amsterdam and its associates alongside Mr Murdoch’s news. A serious case for the musical high is the album’s climax and a near eight minute track aptly named ‘Guitar Heroes’. If the initial irony of this record was in the title, the fact that Thompson indulges in a track paying homage to his heroes belies the notion that he himself is a hero to so many. Anyhow few will begrudge the acclaim laid at the feet of Django Reinhardt, Chuck Berry, Les Paul and The Shadows in this outage of personal tribute. There is a regal grandeur about Richard Thompson as an artist and STILL is yet another chapter in a career full of influential highs. There is no sign of the stellar work flowing from his guitar letting up, as well as opportunities to savour his talents. With every new release from a legendary older artist, there is the increasing opportunity for the younger generation to latch on and this could prove to be the lasting legacy of Thompson’s 2015 release.